If your name is Richard or Jean-Charles, then perhaps a French chateau will pour you its 1966 vintage. But if your name is Kevin or Jennifer or Jessica, it's all second-label bulk wine for you. And maybe they'll lock up the silverware. There's a subset of French people who give their children very American names, and the extremely class-conscious French believe that such parents are not from the right part of town. "Kevin" surged in popularity with French baby mommas in 1990, when Kevin Costner was Dancing With Wolves. I can't find it online (help me out here, French readers), but Several French vintners told me a study showed that Kevins had the lowest baccalauréat graduation rate of anyone in the country. UPDATE: Reader Paul passes along this article from Slate in French, which has a chart. Click to enlarge it. Turns out "Sabrina" has the worst graduation rate in France, and "Jordan" is slightly worse than "Kevin," but neither of them are as common, which may explain the stigma. I'm not sure where French baby mommas discovered Jennifer and Jessica. 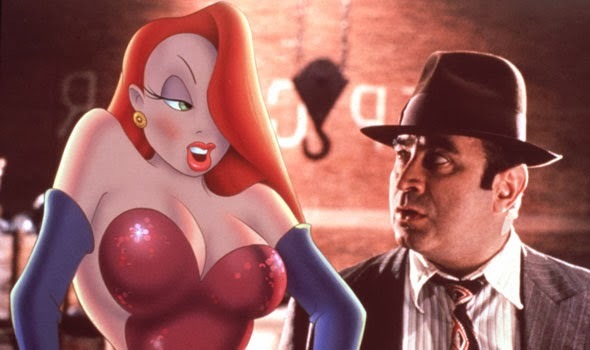 Jennifer Lopez and Jessica Biel are my best guesses, but let's not count out Jessica Rabbit. Name prejudice in France isn't confined strictly to American names. Monique Soltani, Wine Oh TV founder and host, says, "We were at a party and I was trying to relate with (a French entrepreneur) on a French level with my Frenchie name, and he told me it's actually a low-class name: the equivalent of Trixie." In France, she asked which is worse, Monique (Trixie), or Jessica. Parents, if you want your kids to visit Paris some day, don't name them Jessica. For kicks, I tried introducing myself as "Kevin" last week several times at wineries in Bordeaux. Most proprietors were too polite to say anything, plus they had received a briefing sheet which listed me with the extremely high-class name of W. Blake. But one winemaker had to stand in for the chateau owner at the last minute, and hadn't received the briefing. He visibly flinched, slightly retracted his hand, before recovering his manners and shaking mine. I'm sure he washed later with antibacterial soap, or possibly bleach. Who are you calling low-class? I asked Milhade, while we enjoyed some of his older wines over lunch with the real silverware, if I were actually named Kevin, if he would pour me the '66. No wine for you, Kevin. and like The Gray Report on Facebook. Note to French vintners: I am not actually named Kevin. I don't even know any Kevins. Oliver Kohlbacher pointed out on The Gray Report Facebook page that "Kevin" has an even worse reputation in Germany. One German teacher said, "Kevin is not a name -- it's a diagnosis." Would you be considered in the bottom of the "Kevins" if you introduced yourself as "Kev"? I have a good friend, Kevin who owns Casque Wines in Loomis, CA, micro winery of the year a couple of years ago, and who loves to visit France....he also goes by "Kevino"..would that be a good name for you to adopt as well? I can't help wondering how Kevin Zraly is received. I'd say more Halloween trick than treat. "An inconsistent vintage with some good Saint-Julien and Pauillac." "1966 Bordeaux wine is the perfect example of an old school Bordeaux vintage. At this age, many 1966 Bordeaux wine are tired and as a matter of style, several are hard, tannic and austere." You know what, Bob? I don't give a damn what other people wrote about a vintage when I've got a delicious wine in front of me. Then "enlighten" me on which bottle(s) you are drinking . . 'cause I have a wine cellar organization client who owns cases of these wines that he is prepared to kick to the curb (for the city's refuse pick-up), based on his drinking experience replicating Jeff Leve's comments. Bob: Buy yourself some new reading glasses. I don't know Jeff Leve, but I seriously wonder that anyone would be sitting in a chateau, and have the owner offer him a glass of a 47-year-old wine, and say, "No thank you, I don't want to try that, Decanter didn't like that vintage."